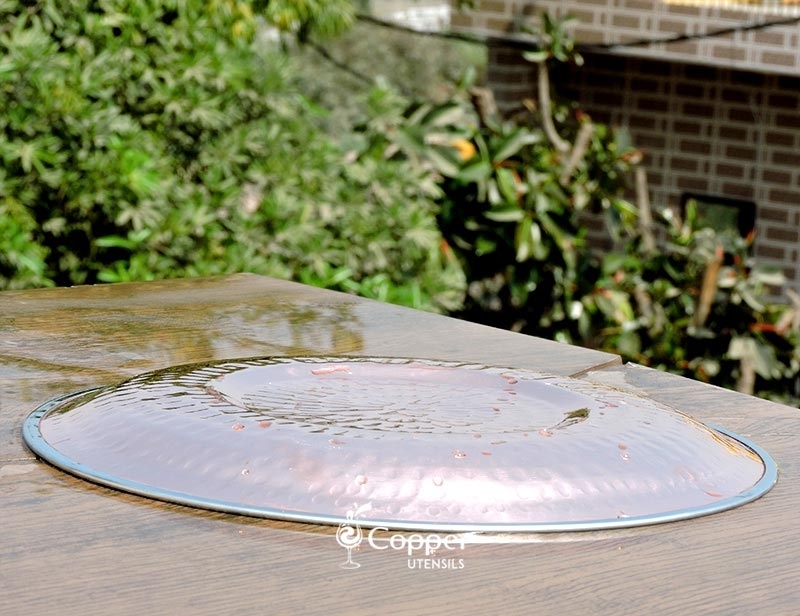 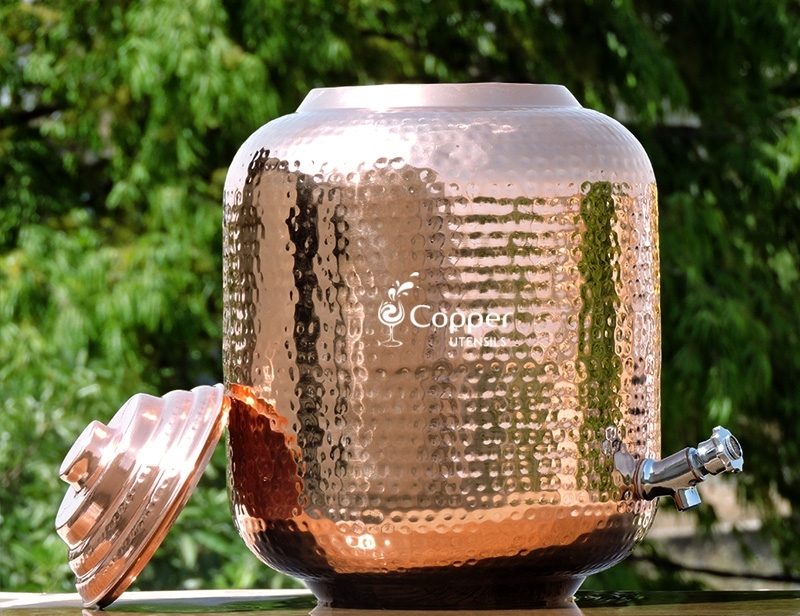 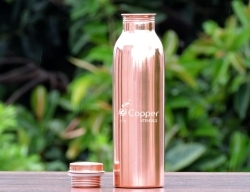 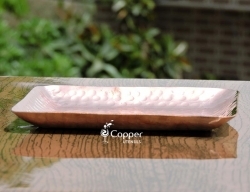 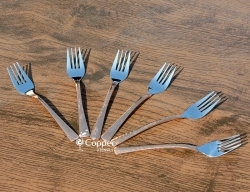 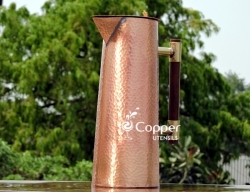 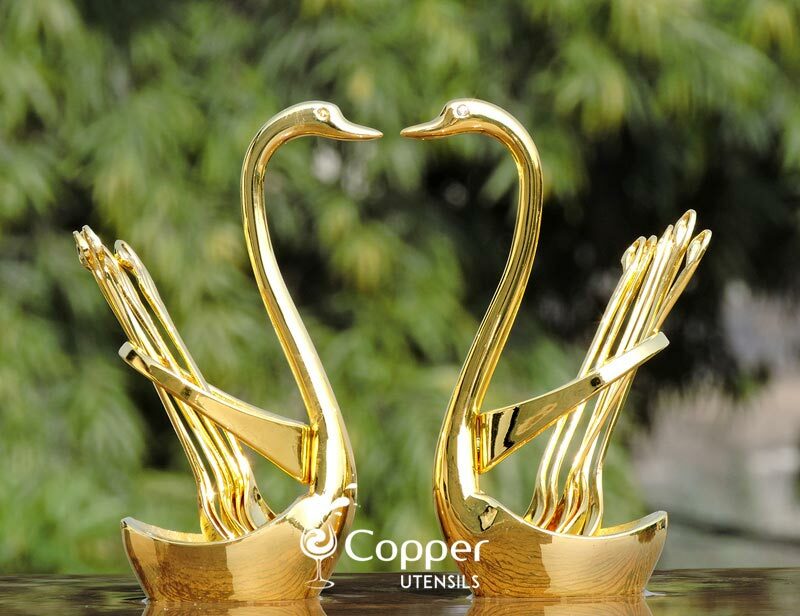 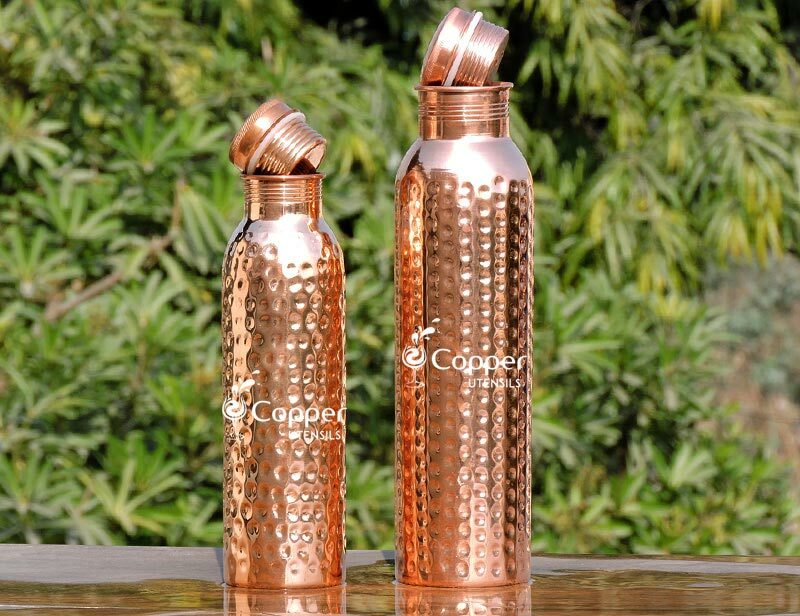 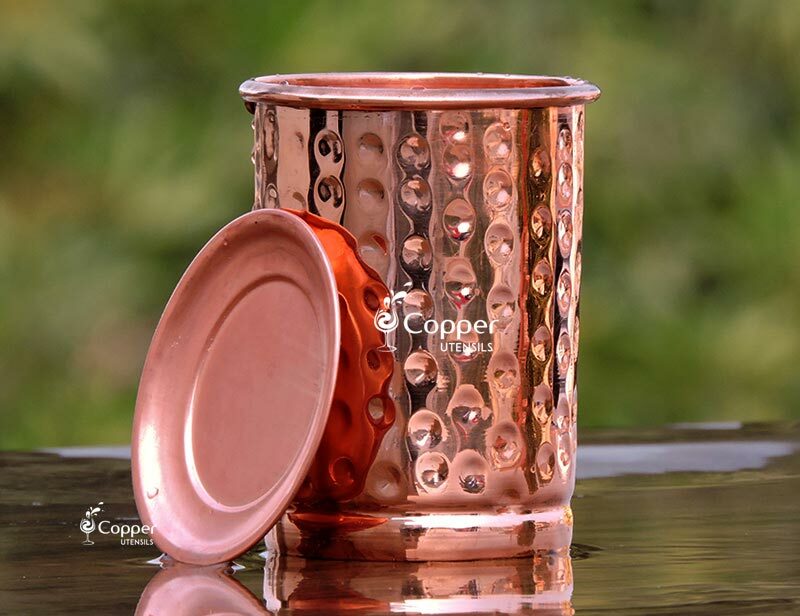 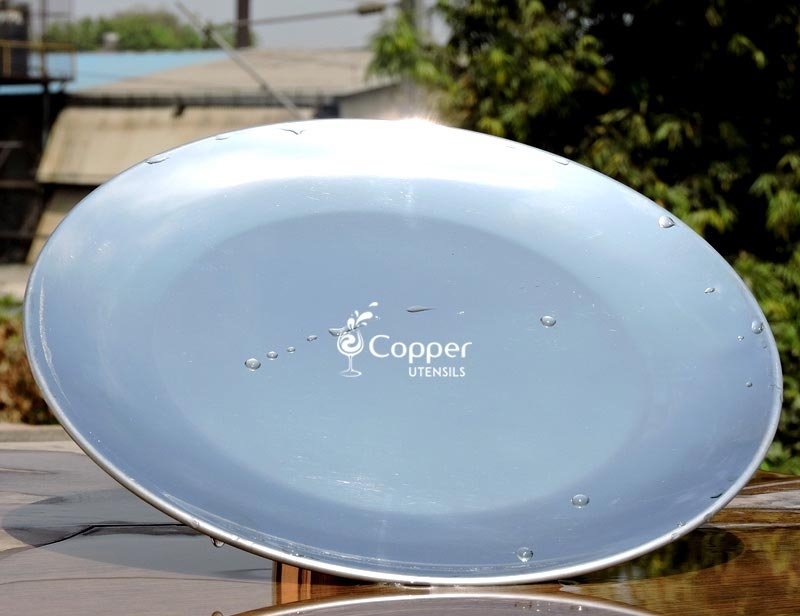 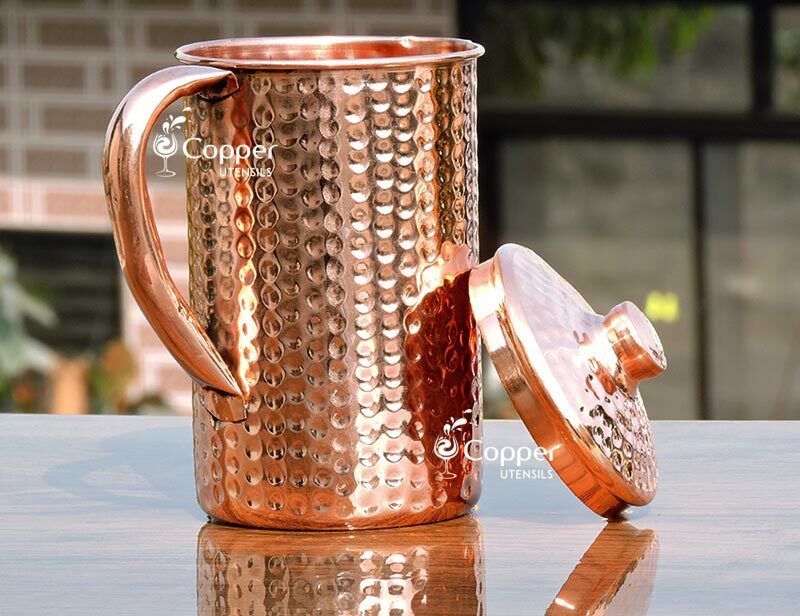 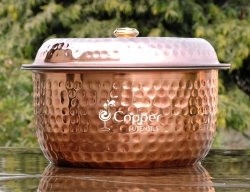 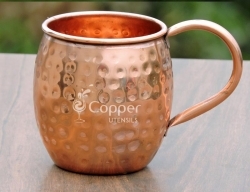 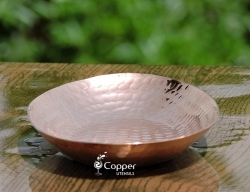 Made from pure, unadulterated copper and stainless steel. 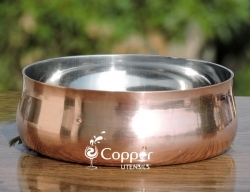 Suitable for serving a proper Indian meal, rice, etc. 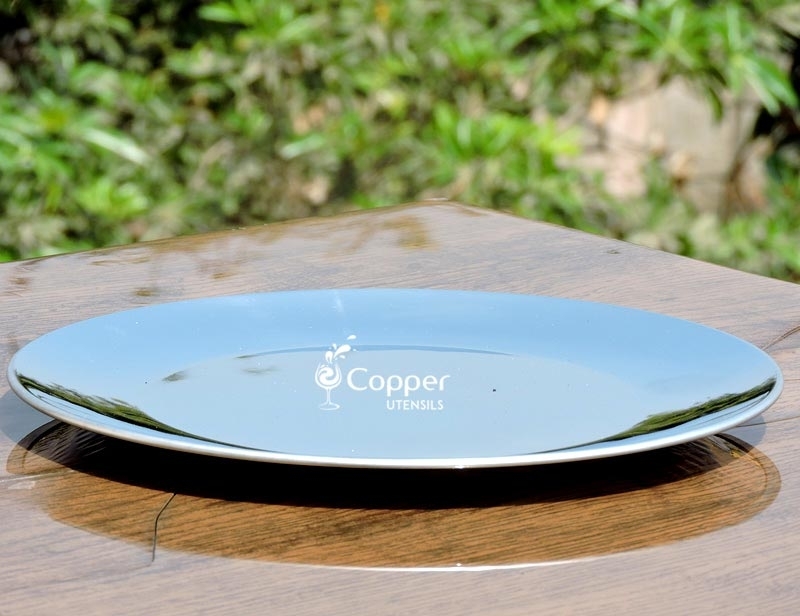 In Indian culture, a plate used for serving food is referred to as a thali. 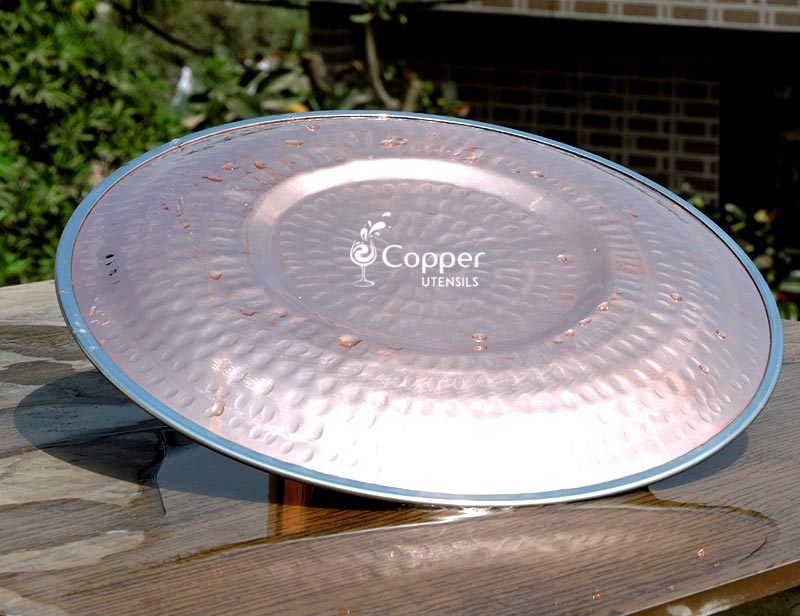 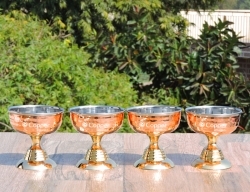 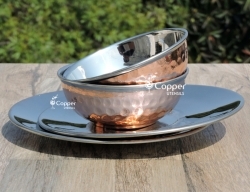 Our pure copper and stainless steel thali is perfect for adding into your vintage dinnerware collection. 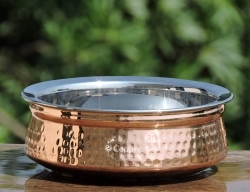 It can be a great accessory to serve food on special occasions or when you have special guests coming over. 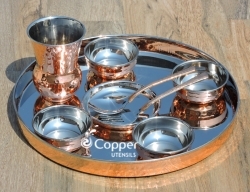 Apart from that, there is one more meaning to the word thali as well. 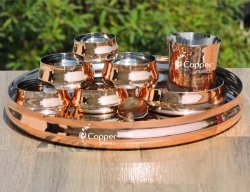 When a variety of dishes is served together on a platter, it is also known as a thali and is very popular in several parts of the country. 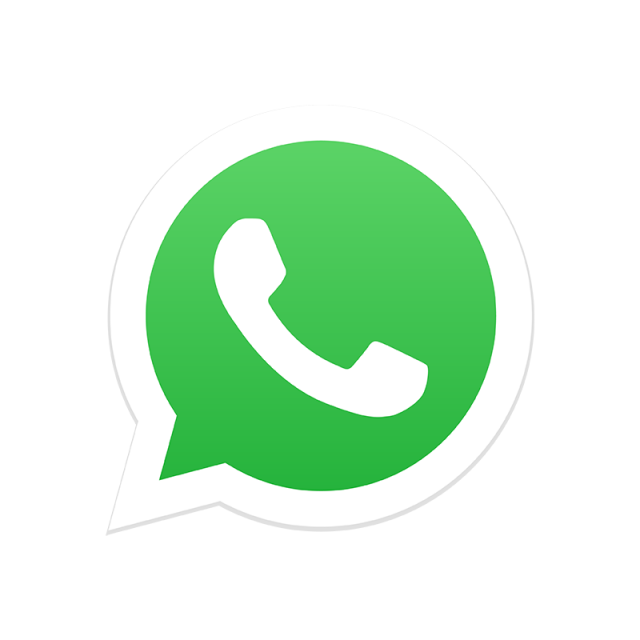 Took it to the UK and my family absolutely loved it. 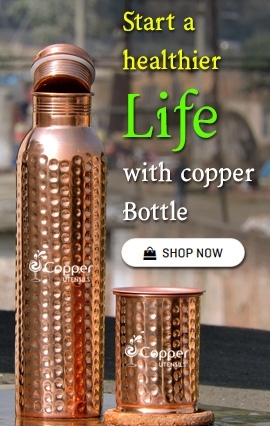 Loved the prompt service and good quality item. 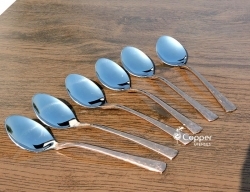 Personal interest even in the packing has been seen. 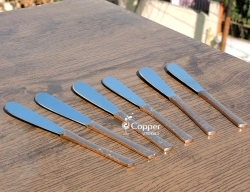 The gauge is good and easy to maintain.